Jonathan Gruber’s market-leading Public Finance and Public Policy was the first textbook to truly reflect the way public policy is created, implemented, and researched. Like no other text available, it integrated real-world empirical work and coverage of transfer programs and social insurance into the traditional topics of public finance. 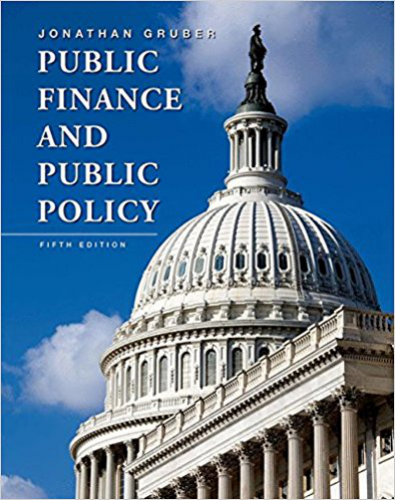 By augmenting the traditional approach of public finance texts with a true integration of theory, application, and evidence, Public Finance and Public Policy engages students like no other public finance text. Thoroughly updated, this timely new edition gives students the basic tools they need to understand the driving issues of public policy today, including healthcare, education, global climate change, entitlements, and more.